Over a bunch of years (many) I have found my way outdoors to play with trains having progressed the usual ritual of tinplate and a variety of scales. Sometime during my 3rd attempt at a GR, the 7/8n2 Isle of Shoals Light Railway and Navigation Company, I came to the notion that less is more and vignettes, focused scenes tied together by the track are the thing. A simple single track loop, a purposeful building here, a station platform, a signal, a mile post dominated by greenery kept in scale as much as practicable became my minds eye. A house move and the subsequent 3 years of settling in gave more time to refine this vision. 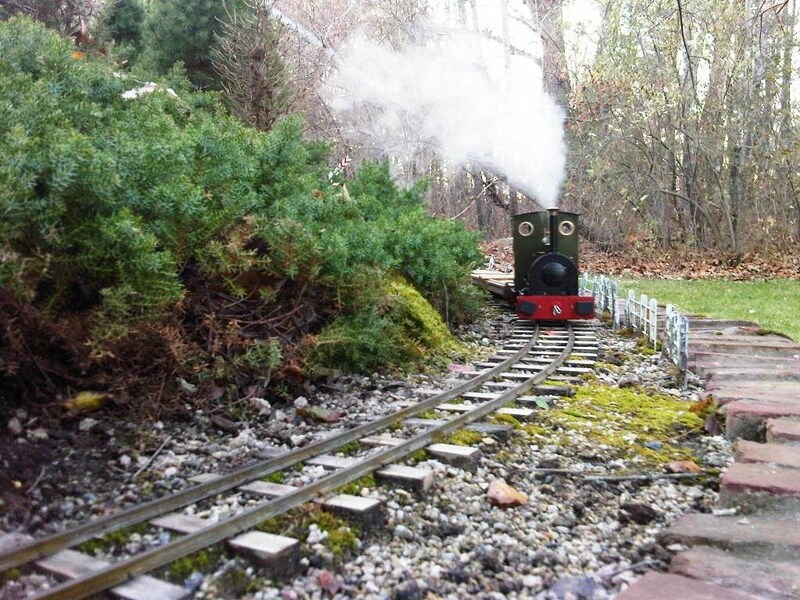 The new Isle of Shoals Tramway would be a raised bed affair allowing nominal waist level live steam and battery operation. Handlaid track would hug the perimeter with evergreen shrubbery as a backscene. A station plant with loop, and goods siding would be as complex as the track layout would become. The prototype followed would be a Welsh market line not unlike the WLLRy as the locos and stock are easily captured in 7/8ths scale without requiring acres of space to effectively model the essence. All as much as practicable would be scratch built. That was 2005. Wind forward 8 years and the IST is nearing completion (it never will be) and I'm pleased with how it all came out. Its has its issues but I think it does the trick especially when you squint your eyes looking down line at Hillside Meander .